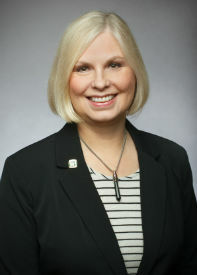 Commissioner Margaret "Marge" Earl was appointed to the Village Council in August 2016. Prior to her appointment to the Village Council, Commissioner Earl served the Village in a variety of roles. She was a member of the Zoning Board of Appeals from 2007 to 2016, serving as the Chair since 2015. She was also a member of both the 2010 and 2016 Comprehensive Planning Ad Hoc Committees and the 2007 Ad Hoc Housing Committee. Commissioner Earl has worked as a Registered Nurse, as well as a variety of positions with local small manufacturing, retail and financial businesses. Marge, her husband Ed, and their daughter have lived in the Hummer Park neighborhood since 1992. Marge has a passion for dogs, children, and her garden. Current term expires in 2021.